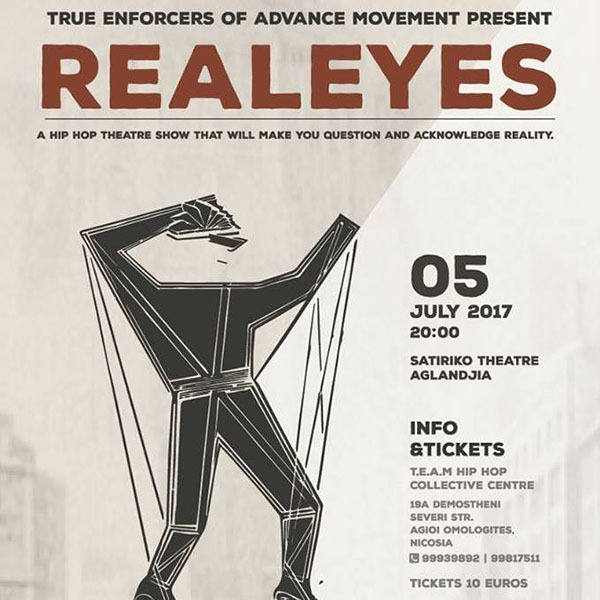 True Enforcers of Advance Movement Proudly Present "Real Eyes" On the 5th of July at 20:00 Satyriko Theater Vladimerou Kafkaridi Aglantzia. A dance show about what is happening to us through the years while we turn a blind eye to the methods of society's system brainwashing us and not allowing us to have any real freedom or free will. Join the Force and Fight the Power!